As a high-profile attorney, John Koufos rose like a rocket, then dropped like a stone, leaving tragedy in his alcoholic wake. Now he’s back to a productive life, helping fellow ex-cons reenter society. 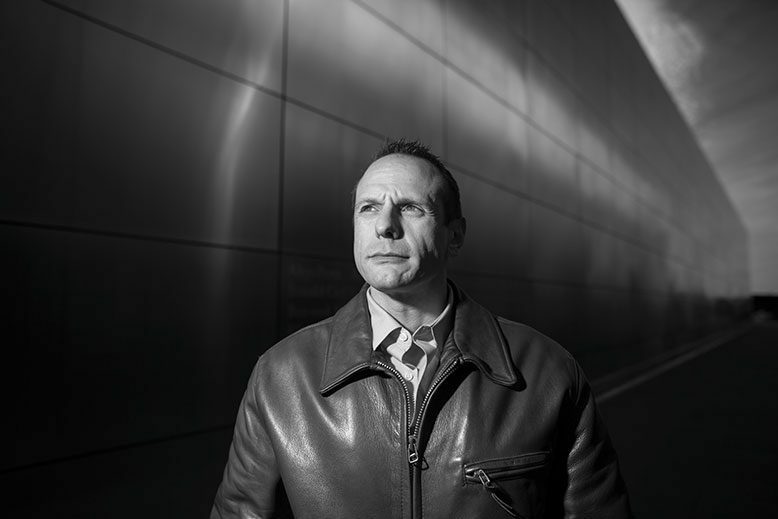 After his release from prison, John Koufos (seen here in Liberty State Park at the Empty Sky memorial to New Jersey’s 9/11 victims) often wandered around Jersey City pondering his future. He found meaningful work at the nonprofit New Jersey Reentry Corporation helping other ex-prisoners. In the movie version of John Koufos’s life, the actor who played the young Koufos would have to be able to pull off outward swagger and inner hell. The mature Koufos would require an actor in possession of Oscar-worthy reserves of humility and the bearing of a man with a scarred heart and a dented soul. The biopic would be rated R for some violence and rough language, and at the premiere, whether in Hollywood or in Hoboken, where Koufos lives, a peculiar mix of New Jersey notables would likely show up: politicians like Chris Christie, Jim McGreevey and Jersey City Mayor Steven Fulop, plus a roll call of former gang members, some of them one-time murder suspects. No such movie is in the works—at least, not yet. But an afternoon spent with Koufos has a way of getting the cinematic juices churning. Koufos is the executive director of the New Jersey Reentry Corporation, a nonprofit that helps newly released prisoners find safe housing and steady jobs. The work is meaningful; it will never make Koufos rich. It’s much the same for most nonprofit professionals, including his mentor, former-governor McGreevey, who helped launch NJRC in 2014 (See story). But that’s where the resemblance ends. Koufos, 40, spent the better part of his early adult life in a different kind of role: He was a highly paid, high-profile defense attorney who helped gang members—Bloods, mostly—beat charges of racketeering, wiretapping and murder. “I was probably the youngest guy in New Jersey doing it at the time,” he says. 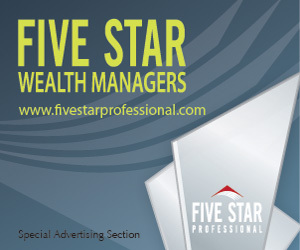 His success rate landed him a place on Super Lawyers magazine’s Rising Stars list from 2008 to 2011. And then Koufos, who acknowledges his struggle with alcoholism, nearly killed someone—and went to prison for it. His work at the helm of NJRC is a step toward redemption. A baby step, in his estimation. In the redemption narrative Koufos would like to inhabit, he is not just a guy who made good, but someone willing to purge his regret publicly until it finds its way to the people he hurt most, chief among them the victim of the crime that earned him his six-year prison sentence and that victim’s family. He tells his story from the beginning, like a lawyer piecing together the events that molded his client. “I was born in Connecticut. My mother was a teen mom and a drug addict. She was 16 when she had me. By the time I was in ninth grade, I had seen 39 states and had 15 different addresses,” he starts. The elder Koufos went on the lam. His son was with him off and on, until he was caught in 1990. The father is now at Otisville Federal Prison in New York. Often, Koufus was left to fend for himself. “I learned to make ramen noodles really well,” he says. The young Koufos also developed a bond with liquor; he began drinking at 15. Koufos moved out of his mother’s home when he was 17. He lived with friends and worked odd jobs. A friend’s father suggested he consider college. “He was trying to be a father figure,” says Koufos. He went to law school, worked hard—and continued to drink. Koufos graduated from Fordham Law in 2003 and went to work for a judge in Ocean County. In 2005, he opened a law firm in Brick with Veronica Norgaard, a fellow attorney he had met as a law clerk. A year later, Koufos and Norgaard expanded to a second office, in New Brunswick. Koufos was making a name for himself, in part by doing pro bono work for the NAACP’s Metuchen-Edison branch. Koufos moved in with friends and saved enough money to buy a three-bedroom house in Brick in 2007. In 2008, Fairleigh Dickinson University hired Koufos as an adjunct professor to teach criminal law, legal writing and research. He was 31. “I was doing all this, but I was never addressing my issues,” he says. Only when working was he sober. By 2010, Koufos’s drinking was out of control. He went to see a friend, Dennis Nieves, a Middlesex County judge. At this point in the story, Koufos tears up: “I told him I can’t stop drinking and—what a great man—he connected me with the NJ Lawyers’ Assistance Program, an organization that helps other lawyers in need.” Koufos says he started “stringing together” months of sobriety. Then he would relapse. In the middle of 2011 Koufos lost it, big. “I was drunk driving in Ocean County, as I had done so many times before, and I had gotten into an argument with the girl I was dating at the time.” The two were texting back and forth. “The next thing I hear is two loud booms,” he says. He had hit something—or someone. Koufos left the scene. He parked the car near Mantoloking Police headquarters and walked to a friend’s house. Another friend, Craig Terlizzi, intervened. Fearing Koufos’s suicidal tendencies, Terlizzi turned himself in, attempting to take the rap for whatever Koufos had done. One week later, Terlizzi’s bogus story unraveled. From newspaper reports, Koufos learned the name of the pedestrian he had hit: Kevin O’Brien, a 17-year-old who had suffered head trauma and a ruptured spleen and had been hospitalized. Koufos was arrested a week later. Koufos pleaded guilty in front of a packed courtroom on March 15, 2012. He was sentenced to six years­—three for the hit-and-run and three for the cover-up—and would serve the bulk of his time at Bayside State Prison in Leesburg. In prison, he learned to live without alcohol. By the time he was up for parole in August 2013, he had more than a year of sobriety behind him. The parole board released Koufos on the condition that he continue with an intensive outpatient treatment program—rehab similar to the one he had participated in while in prison—and that he get a job. Koufos still doesn’t know whether O’Brien has recovered from his injuries. Before he was imprisoned, he says, he tried to apologize through the family’s lawyer, the only way he was legally allowed to make contact. He is not sure whether his apologies were received, let alone accepted. Koufos says he reached out to the family’s lawyer again after his parole ended in August 2016, and once more in January. “The way I hurt those people is something I’ll never stop feeling remorseful about,” he says. This reporter’s recent phone conversation with Hugh O’Brien, Kevin’s father, might not provide a balm. Hugh O’Brien lives in Newtown, Pennsylvania, with his wife and Kevin, as well as a daughter. Of the sentencing, he says, “It boggles our mind that he got six years, and he only did a year and seven months or something. It doesn’t make any sense.” Told of Koufos’s remorse, O’Brien is not convinced. Remorse has been a tool for Koufos—and a reason to stay clean after prison. In late 2013, he moved in with a law school friend and his wife in Hoboken and got a job poring over contracts at a security-equipment company run by his former paralegal’s father in Trenton. By early 2014, Koufos had read that McGreevey, who had suffered his own public fall from grace in 2004 when he resigned as governor, was working with former inmates in Jersey City through the Jersey City Employment and Training Program (JCETP). Koufos called Fulop, the city’s mayor. He wanted to help. “But when you represent gang members, you’re not exactly among the political elite,” he says. Koufos didn’t expect Fulop to return his call. But Fulop did, and after hearing Koufos’s story, he referred him to McGreevey. McGreevey started Koufos off as a volunteer in February 2014 and hired him as a case manager by September. By the end of the year, McGreevey, with support from Governor Chris Christie and four other former New Jersey governors, established NJRC, based on the JCETP template. Today, NJRC operates in five municipalities: Jersey City, Newark, Paterson, Kearny and Toms River. State and private grants and federal in-kind support provide about $3 million in annual funding for the program. Patrick D’Aiuto, 37, who did 15 years for armed robbery and was once housed in a cell across from Koufos, got the message about NJRC. “They actually help people,” says D’Aiuto, who was released in 2013. “They’re not just getting guys jobs at Burger King or White Castle. They’re getting them jobs with benefits that will get them a middle-class existence so they can lead a productive life.” D’Aiuto is now a commercial roofer and union member. He recently bought a condo in Ridgefield Park. Job placement is just one of NJRC’s client services. To date, Koufos has recruited 62 lawyers, most from the State Bar Association’s Young Lawyers Division, to work pro bono with clients on everything from clearing up outstanding warrants to obtaining legal ID, the first step to getting housing and a job. The services are paying off. From September 2015 to August 2016, 63 percent of the nonprofit’s 1,200 clients found work. And the recidivism rate for clients over the past year has held steady at 19.7 percent. The most recent numbers on recidivism from the Bureau of Justice Statistics are nine years old, but they demonstrate the difficulties of keeping former inmates from ending up behind bars again: 67.8 percent of state prisoners released in 30 states in 2005 were rearrested within three years. Koufos has seen more ups and downs on the way to steering NJRC toward those numbers. In February 2015, he was formally disbarred. Last September, though, he returned to the super-achiever spotlight when NJBIZ awarded him its “40 Under 40” honor. Still, Koufos’s recent triumphs haven’t soothed his scorched conscience. “I continue to feel horrible for my actions,” he says. It’s likely he always will. NJRC clients share their stories with Koufos, center, and former-governor Jim McGreevey, right. The nonprofit provides referrals for addiction recovery, sober housing, employment training and more. Read more Jersey Celebrities, Politics & Public Affairs articles.